Caravan Guard and Leisuredays are leisure insurance specialists, offering bespoke cover for touring caravans, motorhomes, static caravans, lodges and holiday homes. Our reason for existing is to put people back in the same position after something bad happens to their pride and joy - or more simply put, 'insuring freedom'. We're passionate about everything we do, and as a family business we like to think we're a little bit different. Our company philosophy is to look after our people and empower them to look after our customers, who in turn look after the profits. We enjoy sharing our collective success by rewarding our team and working with our chosen charities. Whether you're new to insurance or you're joining us with lots of experience, we aim to employ the most talented people and give you the very best coaching, support and recognition. 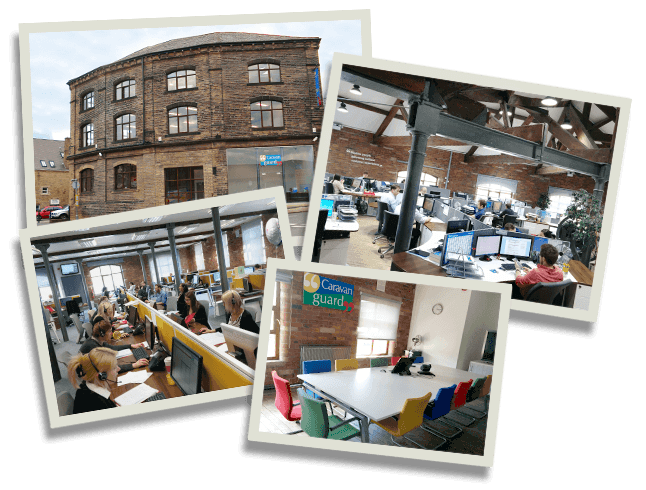 From our offices in Halifax town centre, we employ over 115 people and aim to deliver brilliant customer experiences to our 90,000 customers. Our culture and values underpin how we go about achieving our success. We live these values in our day-to-day roles, making Caravan Guard a great place to work and a great company for our customers to deal with. Watch our short video to learn more. To find out more about what it’s like to work as an Insurance Adviser at Caravan Guard, including what our staff have to say, please click below.